As you know, the Taunigma project has been launched in 2013 and we have already celebrated 6th anniversary this fall since the foundation of the company. 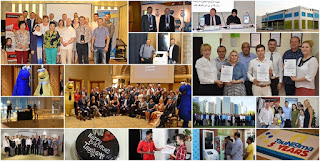 We have achieved outstanding results over these years since we continue actively developing and improving quality of provided services together with innovative projects and search for new business partners. We try to devote much attention to work shown by our employees of the business. They represent our company and play a certain role required for making successful industry. There are employees from 14 countries working for NT.Payments group of companies in all regions of the Emirates – all of them remarkable professionals who know how to do their job. This year management has decided to award best employee of the month who has completed and showed excellent results at work as decided by managers and their coworkers. 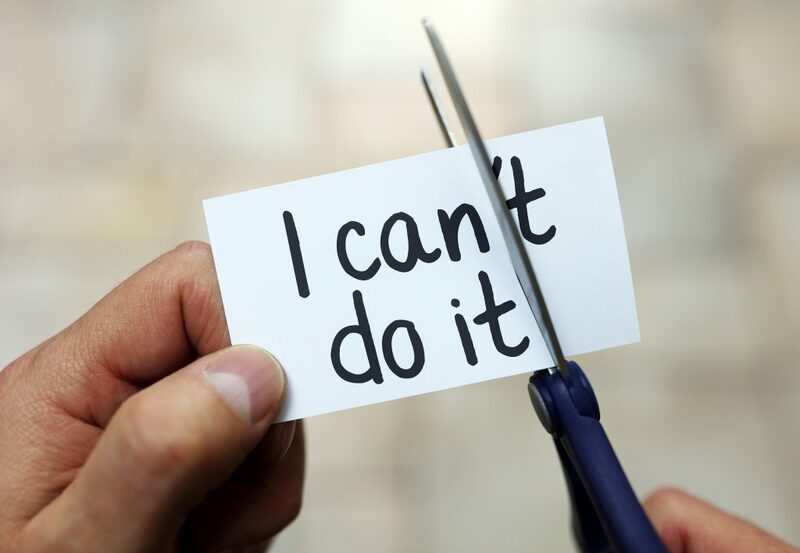 This promotion was set to aim and raise motivation among employees and show recognition for this specific period based on the results. We would like to make a short interview with some of our colleagues today to show our followers and readers of the company blog that self-discipline and hard work will always be recognized and will be a good example for others to follow. 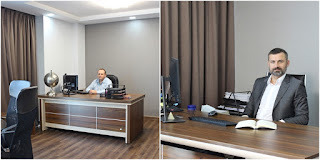 Please meet, Kreb Mevon – office-manager of our company. “I started working for this company at the end of 2015 and gained much experience and plenty of knowledge that help me completing my duties at work. The fact that I was selected as best employee is the merit of all our friendly staff. I wouldn`t be able to achieve such great results and recognized by my colleagues. I am very grateful for everybody for the support and help that was shown to me. I will do my best to raise as a professional together with the growth of our company”. Selling franchises successfully and be listed among leaders of the market is not an easy thing. 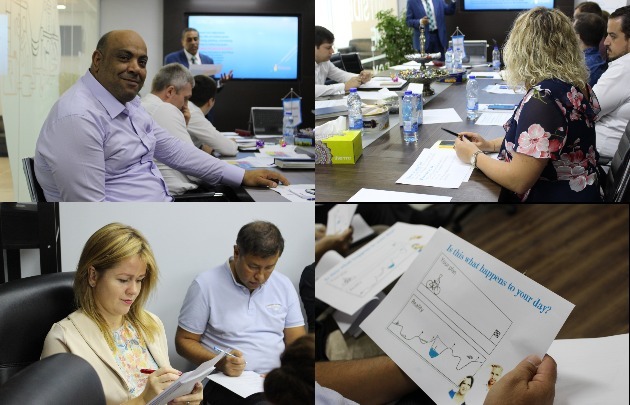 Promotion of goods and services within the market need certain qualification and communication skills when talking to people. Sales department has always been special with plenty of regional trips where we concluded new business deals. 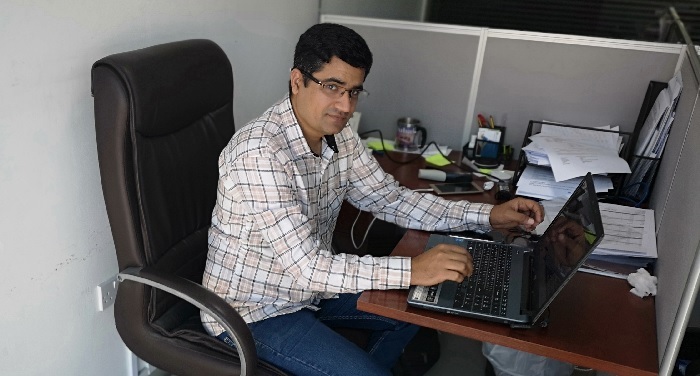 Muhammad Irfan Manzur Ahmad – another valuable employee of the company. He is responsible for setting up terminals and communication with property owners in Dubai and Sharjah. He is a leader and fond of looking for new possibilities to expand business activities. 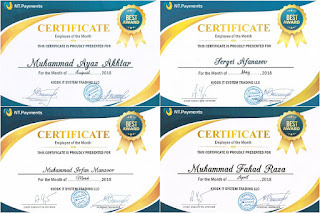 He was recognized as the best employee in March for the great contribution that he had input into the development of the company. “Working in sales always made me to try reaching new targets and best performances at work. We are expanding and there are new opportunities for business influence. This is the beginning of our journey and I believe that new achievements are ahead of us. I reckon that being awarded as the employee of the month is a great credit shown to me but undoubtedly, we made this altogether with my coworkers”. All awarded employees have received memorable gifts and cash bonus. 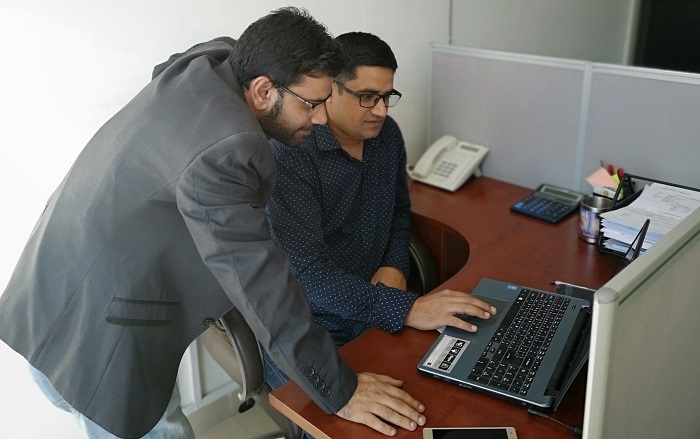 We are eager to add that we will keep encouraging of the colleagues since it is clear that any business is built on a friendly attitude between the management and the staff. 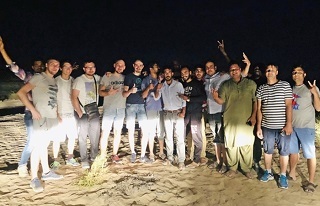 The UAE have turned into the center of multiple sports and social events over the past years. This eastern country with amazing regularity has new opportunities to host sports tournaments, scientific seminars, expositions, social and cultural events and various forums to develop programs for a healthy life of living among population. 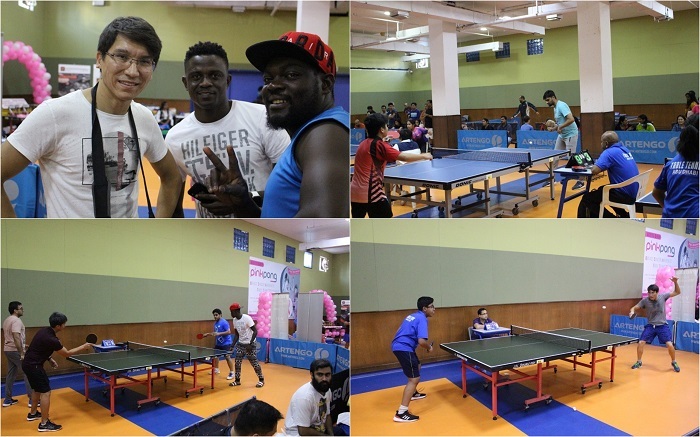 Ping-pong table tennis was not an exception which was organized by ADDTA (Abu-Dhabi Amateur Table Tennis Association) under the promotion of precaution and fight against breast cancer. This promotion was set to draw public attention to this problem due to frequent occurrences of diseases that were found over recent years among women after 65 years old. Our company does its best to give all round support to social projects and thus we have gladly replied the invitation to take part in this tournament. 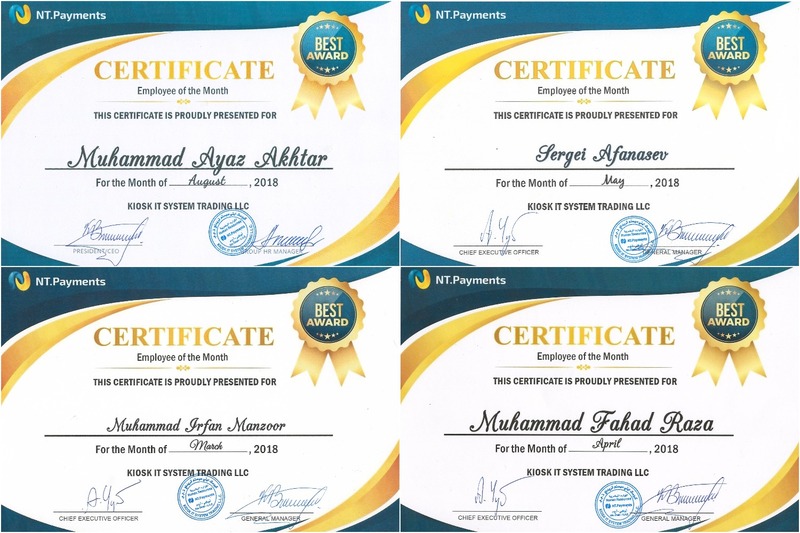 Employees of NT.Payments are well known with its passion to sports since we are regular customers of big and little competitions. This tennis cup host all age categories of amateurs who were fond of this game. 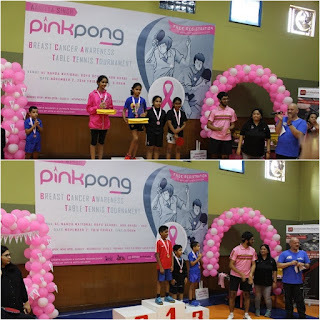 One could hear rocket shots that were part of competition from early in the morning until late at night and speaker`s voice who announced winners. 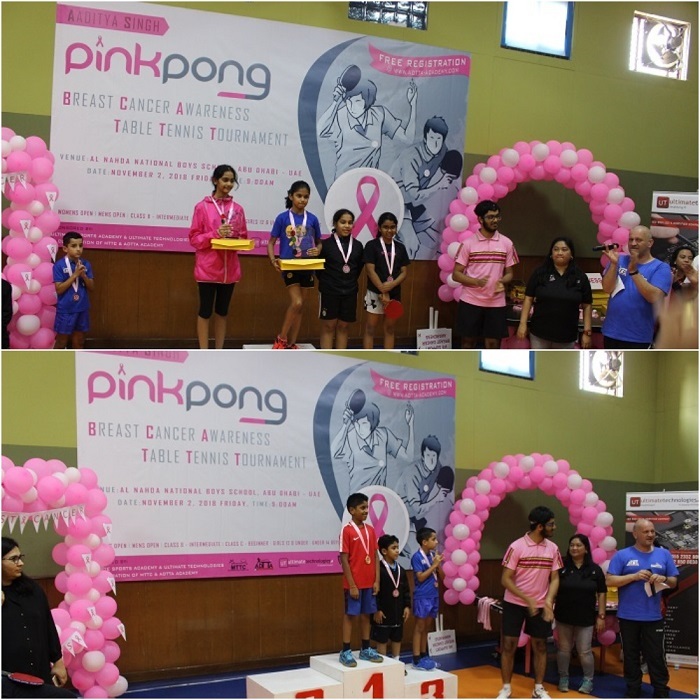 All winners were awarded with valuable gifts and trophies. 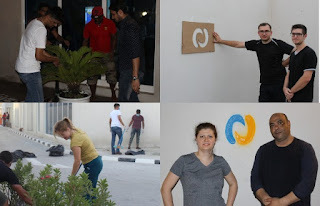 Our company has won another little victory showing team spirit and unity among its employees. We hope that such promotions will happen more often and we in our turn try our best to maintain and contribute into social commitment of the region. We don`t forget about outdoor and recreation activities either. 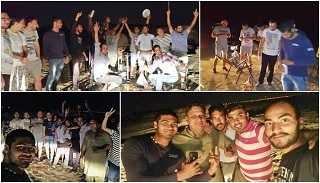 We have recently visited the park of Yas island, as it was our tradition before since this is the best place to make barbeque and set socializing with colleagues. What made this teambuilding particular was that our colleagues from regional offices had joined us thus they had used opportunity to meet new members of our friendly team. 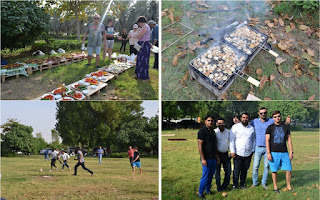 Variety of tempting dishes, outdoor games and cold drinks gave us plenty of memorable moments that we tried to capture in photos. Our employees are keen chess players. They show special love to this game. We could not help taking general team photo of our colleagues. 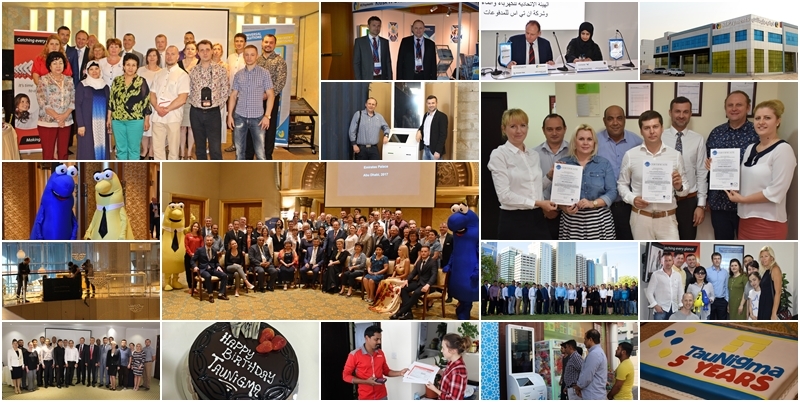 You can see how friendly we are and our company is represented by people from different parts of our immense world. The spirit of harmony and mutual understanding are keys to success in any business. 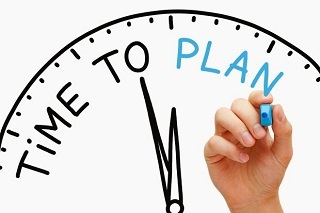 Team events held offline of business hours raise positive attitude and change people`s set of mind to business values. 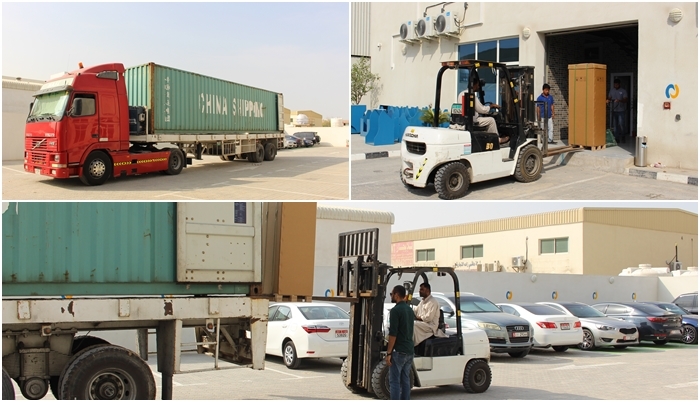 We greatly appreciate our employees and confident that today we have conquered another peak towards our common goal. 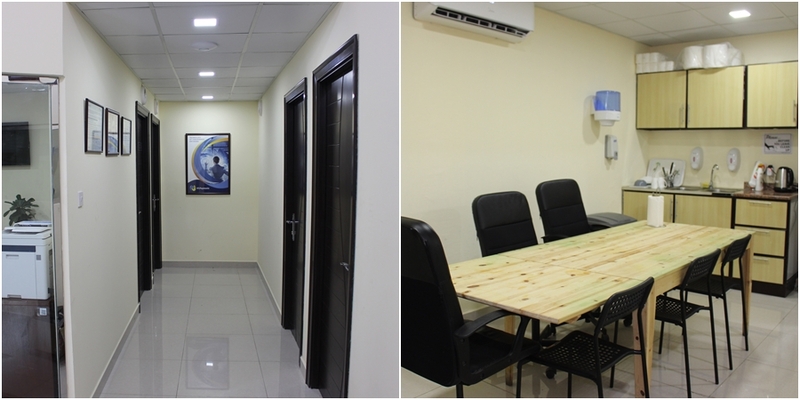 In view of rapid growth of our company, business expansion and the increase of our staff, we moved to the new spacious office. 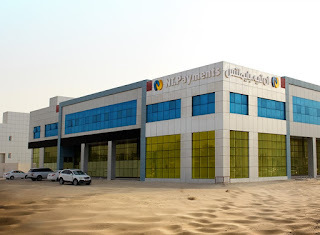 Today our Company is located in industrial zone of Abu Dhabi, Mussafah. Total area of our new office is 100m2. We’ve already moved completely, so we’d gladly show you around. 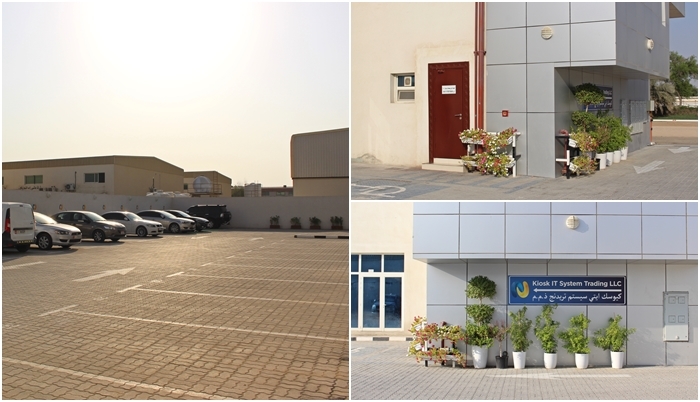 Building’s territory is fenced, beatified and has enough parking spots for our employees. That’s especially convenient for Technical Department staff and collectors. We occupy first store. 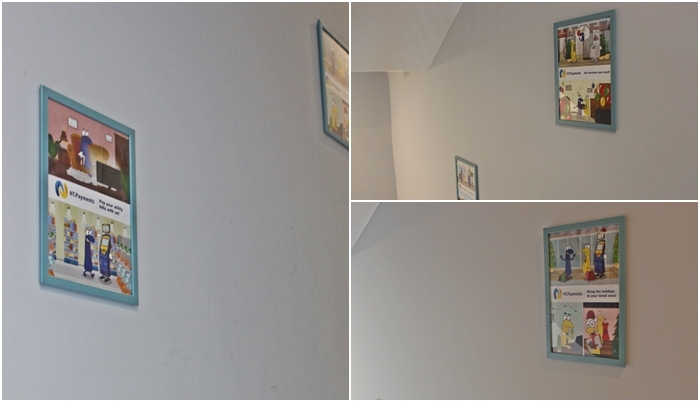 Stairs are decorated with pictures of our corporate heroes, and soon it will be added with pictures of Mr. Cash and Mr. Pay. We’ll certainly show you those! Reception is the face of the company, the first thing that visitors pay attention to. So our reception is bright and unusual. 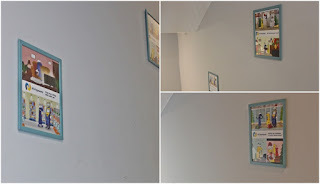 Pictures, text and every detail on the wall are well-thought-out in signature style. Looks inspiring! The first person to meet our visitor is Kreb Mevon, our office-manager. She’ll gladly answer all your questions, help you to find your way in the office and offer you a cup of tea or coffee. 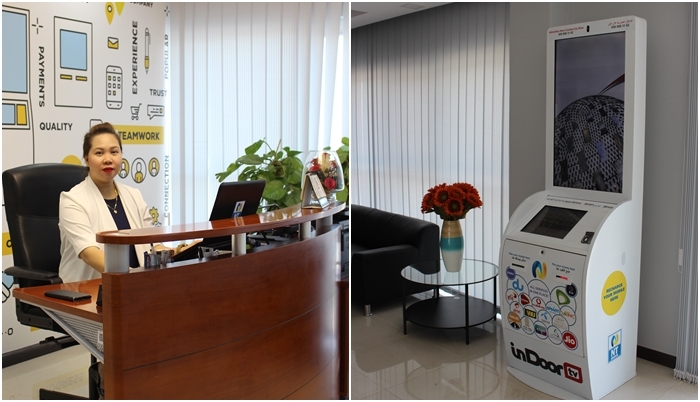 New office has a big hall where you can comfortably rest on the couch, and, if necessary, pay your bills in combo-kiosk. Straight after reception there’s a comfortable meeting room. We’ve already held a few meetings there. That’s exactly where we’ll design our ambitious plans, hold important meetings and execute profitable contracts. In front of the meeting room, in spacious and comfortable room, is located Investor Relations Department – Taunigma. 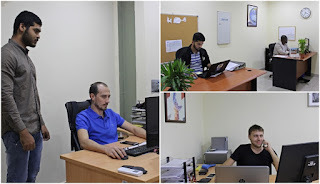 Employees of this department provide partners and agents with online support for solving of issues related to the work of franchises, announce company’s latest news and prepare marketing materials. Open space of the room facilitates active discussions, brainstorms and quick solutions of business issues. 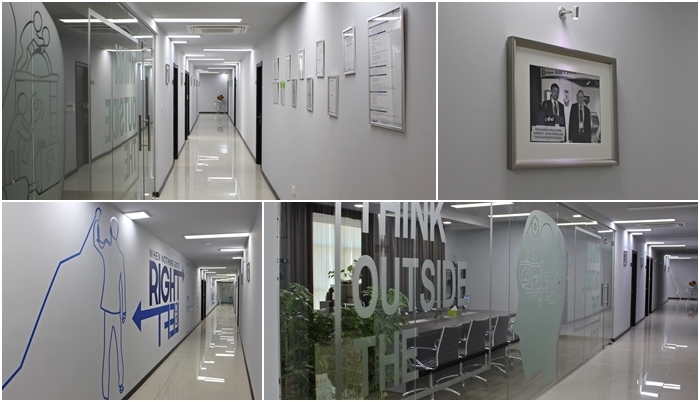 The walls of long hallways of the new office are also decorated with motivating pictures, certificates of our accomplishments and photos. Here, for example, we’ve made a little gallery museum of our company, gathering the most relevant moments. Taunigma is neighbored by the Business Development Division. It’s one of the smallest, but important departments that implements new services, executes profitable contracts with providers, holds promotions and informs our clients about new services. In this very wing we also have Commercial Department of our сompany. 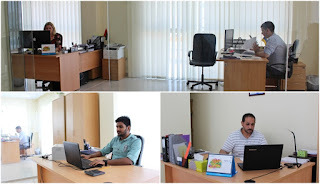 Notwithstanding that most of their work hours our sales consultants are out of the office making deals on new installments and controlling existing ones, they need comfortable environment in their office to perform administrative work and hold small internal meetings. HR manager also has a separate and spacious room. Interviews require preparation, while managing recruitment visa issues and documentation maintenance need special attention. Besides, employees need privacy to solve their private and business issues, with which they turn to, for example, our HR manager, Anna Kozhenko. 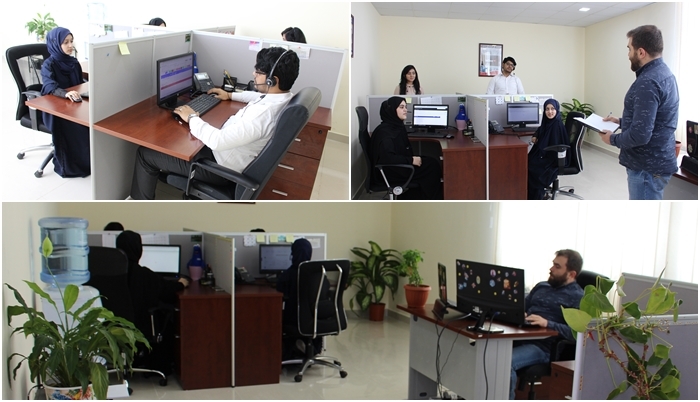 Financial department is located in one of our biggest rooms that was separated on several parts by glass partitions, which makes it more convenient to control their work. 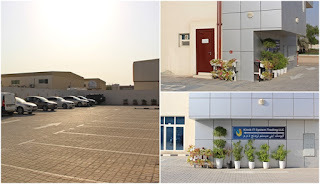 One part is occupied by the Head of the Financial Department and accountants, who maintain calculations and financial documentation, as well as prepare reports. And the other half is taken by Vice President/ CFO, Ahmed El Ashmouny, who controls the work of his employees. Call-center is located in a distant and quite part of our office. Here employees require silence to solve clients’ issues. New room is much bigger than the previous one, which gives a chance to accommodate up to 16 support employees, provided the growth of terminals network and consequently the client base. 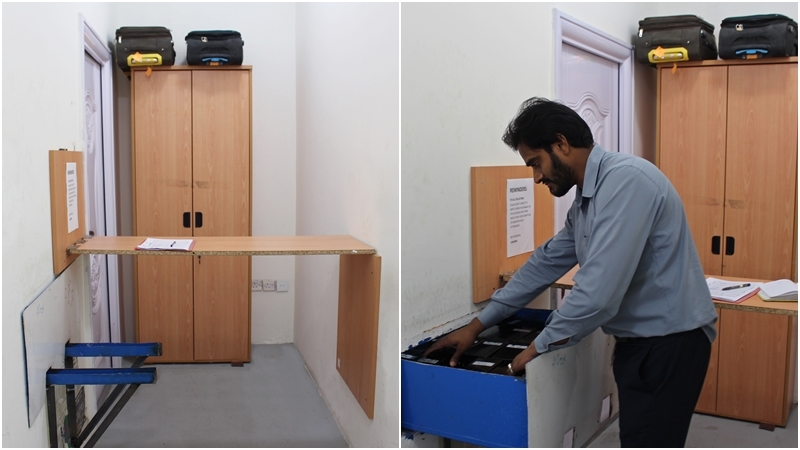 IT Department needs silence as well, so it occupied the biggest room in our new office. Applications development, software testing and services configuration require increased attention and accuracy. 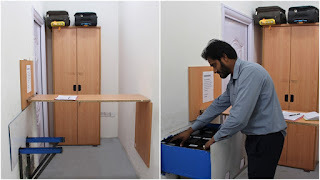 Therefore here every employee has his own working place with a partition. Private space is needed for high concentration on projects. Canteen is the place for dinner, relaxation and random chats with colleagues. Spacious room with interesting design and a good view from windows helps you to relax and forget about work for a while, which really facilitates productiveness. 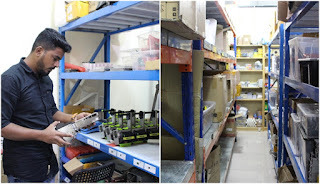 This part of the office also has two little departments: Operations Department and Safety Division, which are responsible for procurements, as well as for the order and safety of business in general. 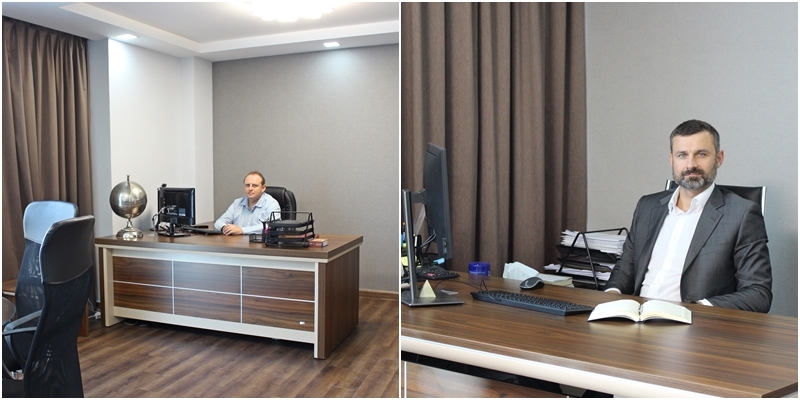 Let’s pay a visit to the Company’s Chairman of the Board of Directors, Alexandr Chub, and President/CEO, Vasyl Katriy. 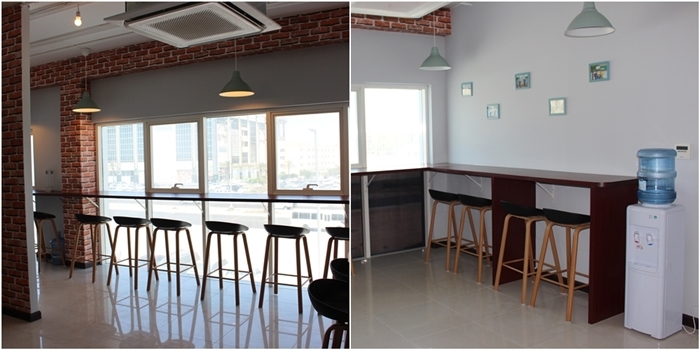 Very comfortable and bright rooms, which have everything for convenient work: big windows for inspiration, as well as places to hold closed and personal meetings. 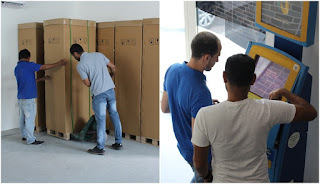 We were glad to show you our new office, but that’s not all. 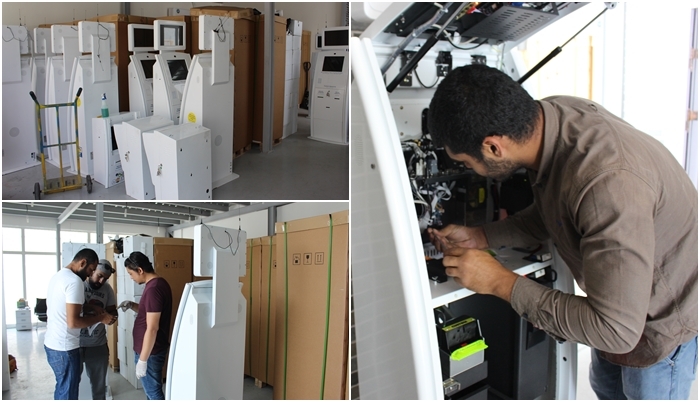 In this very building we’ll soon have Technical Department and one of the divisions of Financial Department as well. Next time we’ll tell you how they’ve settled in new office. Being united under one roof will help our departments to solve current and strategic issues faster, as well as to communicate and exchange experience with each other, which will undoubtedly increase productivity of all employees and bring positive business results. 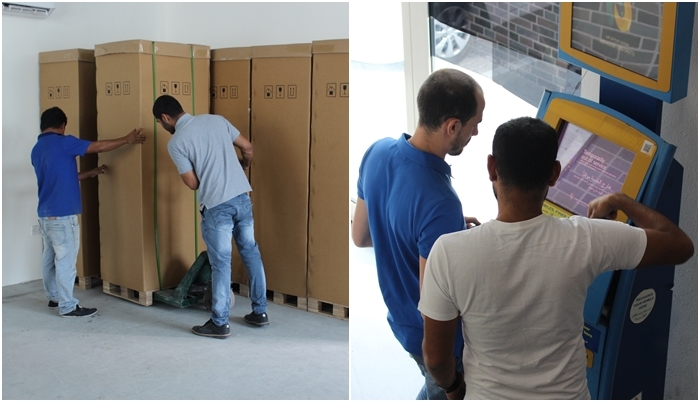 We’ll be happy to see you in our new office!